Back in 2010 Omnibucket partner Dave Senecal had a chance to chat with author Dave Wellington. You might recognize Wellington from his “Monster Island” and other web serials. Dave has tons of cool stuff going on and was a contributor to Omnibucket’s own “Brainchild…A Collection of Artifacts” in 2005. We're re-printing this interview on our new site because, dammit, it's just that cool. 01. What have you been up to? Is there anything you can tell us about new projects in the works? 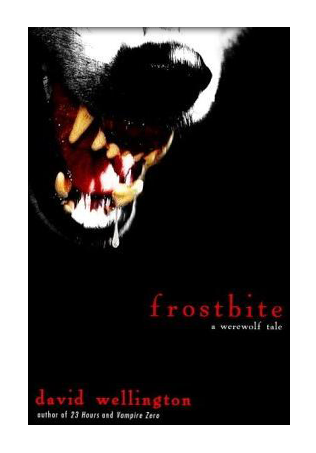 My latest novel, “Frostbite” came out October 6th. There will be a sequel next year,called “Overwinter”. 02. Having written so many books about characters who battle the undead, do you find yourself viewing the world in a strange way? For example, by considering possible escape routes, defensible positions, and potential weapons even when you are not writing, but just heading down the street as part of normal everyday occasion? 03. Is direct interaction and discussion with your readers useful for fact checking, proof reading, etc. or does it tend to become too overwhelming to keep track of the discussions? I don’t get a chance to do as much of that anymore, but when I did it was incredibly helpful. I really learned how to write a novel from the comments people left on my serials. It was amazing! You just don’t get that opportunity writing the old-fashioned way. You sit in your office for a year, not talking to anybody, hoping that what’s in your head will be entertaining to somebody else. Having immediate feedback made a huge difference. 04. Are you still surprised by the actions of your characters or do you have most of the story planned out before you begin writing it down? It still happens. My main characters tend to be pretty smart, and to have definite, clear ideas of what is okay and what is just not cool. Occasionally they refuse to do what I tell them to. But I actually do an enormous amount of planning in advance. I always know how a book is going to end before I write the first page. 05. What’s been the most unexpected change that has come with having more support from a publisher? The fact that it can actually happen! I spent thirty years (from age six, when I started writing) thinking I would never be published, that I was just writing for myself. Now I have actual readers and that was a huge adjustment—I realized that there really isn’t such a thing as a good book if nobody reads it. 06. Has the vampire in fiction been diluted with so many spin offs of work like the ‘Twilight’ series – or is it encouraging to see a new generation of readers taking an interest in the genre? I’m always glad to see kids reading. I don’t enjoy “Twilight” myself. But it wasn’t written for me. For the tweens who make up its target audience, it’s obviously exactly what they want. C’est la vie. Even monsters evolve, and not necessarily in the way we’d like. - Is that some kind of clever subconscious CIA-type stealth marketing technique!? - With all of overlapping storylines, it must be a very busy place inside your head. How do you balance all of the projects without burning out? The CIA categorically denies being involved in the writing of my book in any way. As for overlapping projects, I make a point of only working on one thing at a time. Otherwise I’d lose it. 08. Many of your book titles have a numerical aspect. “23 hours”, “Vampire Zero”, “13 Bullets”, “99 Coffins”- is there a particular motivation behind the use of numbers in the naming of the work? The numbers I chose were specifically chosen, yes. I wanted numbers that would make people uneasy—they’re just slightly off, not round numbers at all. I wanted to give a sense that the world of my vampire novels was just a little different from ours, and not in a good way. 09. Do you think there is a tendency to confuse gore with horror, especially with regard to movies? Gore is a device, horror is a genre. Good horror writers use every device at their disposal. You can write a book just using gore, but it gets very boring and repetitive very quickly. In movies, it works a little better because movie scripts have to be much more focused than novels… but still, it gets old. 10. Speaking of movies, can we expect to see a movie from your ‘Monster’ series? I’d love to see that. Believe me. 11. Ology, as you know, “is the study of”. What’s your current Ology? Right now, as in this week? I’m reading “A World Lit Only by Fire” by William Manchester and playing “Assassin’s Creed 2”, so it’s Renaissance History. Um, Renaissancology. I guess.